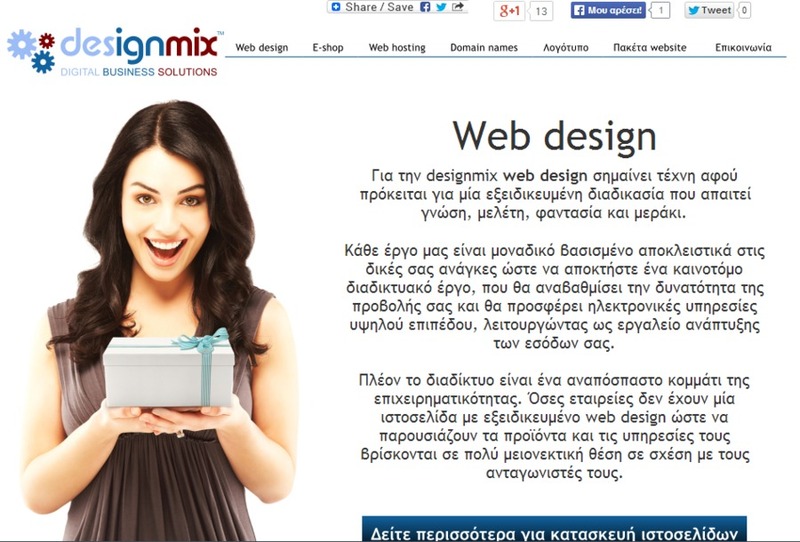 Designmix, is a web agency in the Greek market, with an extensive project portfolio and unrivalled experience on the creation of portals, e-Shops and web & mobile applications. Since its foundation in 2012, Designmix has focused on the development of professional content management products and applications and has acquired an extensive client base that spans all principal market segments. Designmix develops the most sophisticated web and mobile solutions and is engaged in continuous research & development and full in-house support for clients. Designmix seeks to efficiently serve the needs of businesses in the ever growing and demanding ICT market.